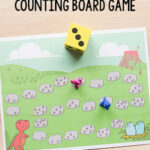 I wanted to create something that would make teaching number sense to my kids easier on me and more engaging for them. I wanted to combine lots of concepts on one mat, so that they could see the correlation between them and I wanted it to be interactive and hands-on. But most of all it needed to be effective. 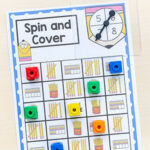 These number sense activity mats are all of the above. After testing and tweaking, I came up with these interactive number sense mats that my kids actually enjoyed doing. 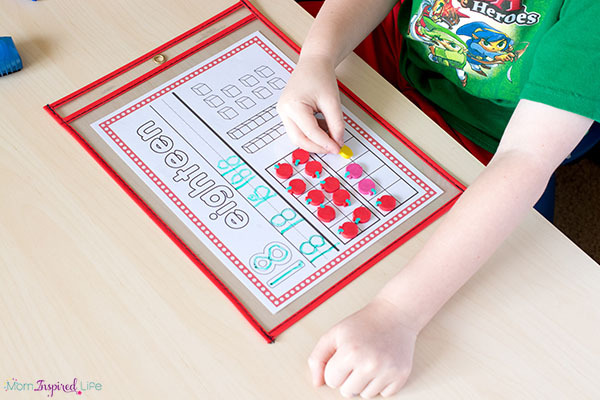 While using the mats kids will engage with ten frames, number bonds, base ten blocks and more! 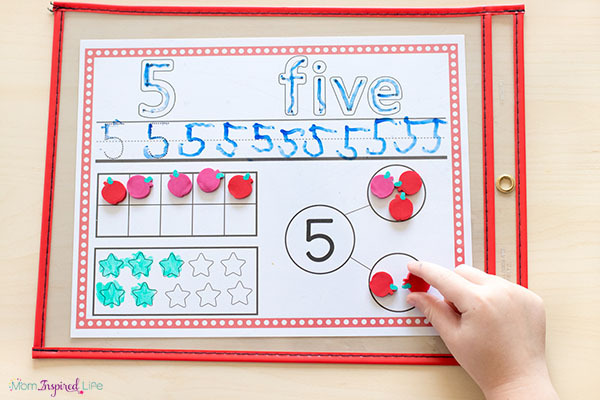 They will practice counting, one to one correspondence, number recognition, reading number words and writing numbers as well. 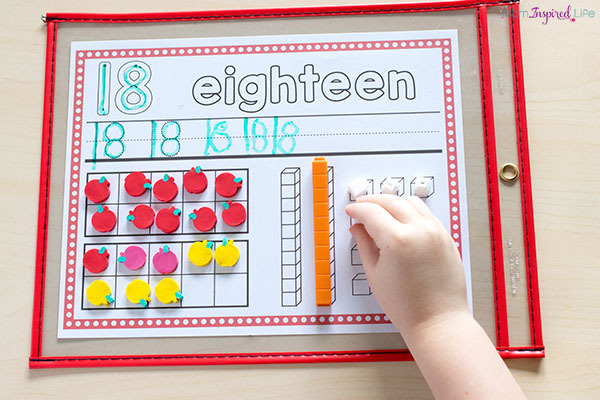 Since my son struggles with learning to write numbers and because it is becoming more and more important for him to write numbers as he goes into first grade, I knew that I definitely wanted to include a number writing component to the number sense activity mats. But just writing on a worksheet was not going to work. He hates that! That is why I think slipping these mats into write and wipe pockets is so important. Once I decided to put the mats in the pockets and use dry-erase markers with them, everything changed for my son. He enjoys writing with dry-erase markers so much more and he doesn’t get nearly as frustrated by making mistakes. He knows he can just quickly erase his mistake and move on. For some reason, the annoyance and effort involved in erasing with pencil on paper is just too much for him. 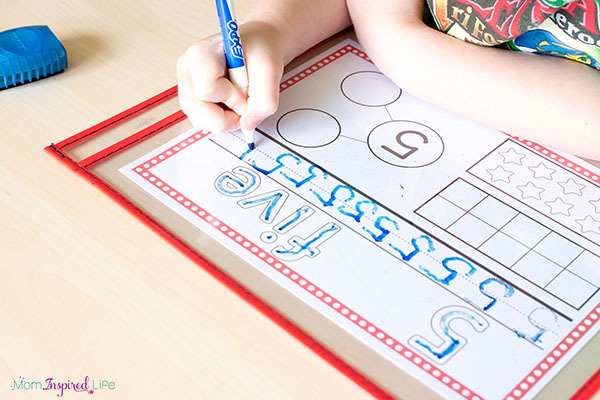 But when he can use dry-erase markers and quickly erase mistakes, he is far more motivated to practice writing. 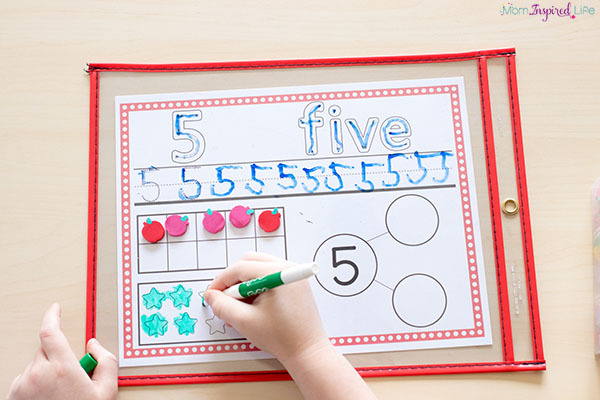 If you have a child or children in your classroom, that really don’t enjoy writing, you should definitely give these number sense activity mats a try! It also helps that the writing component is only a small portion of the activities on the page and children can see that they will get to engage in other ways as soon as they finish writing. I even included number words for some additional alphabet writing practice as well! 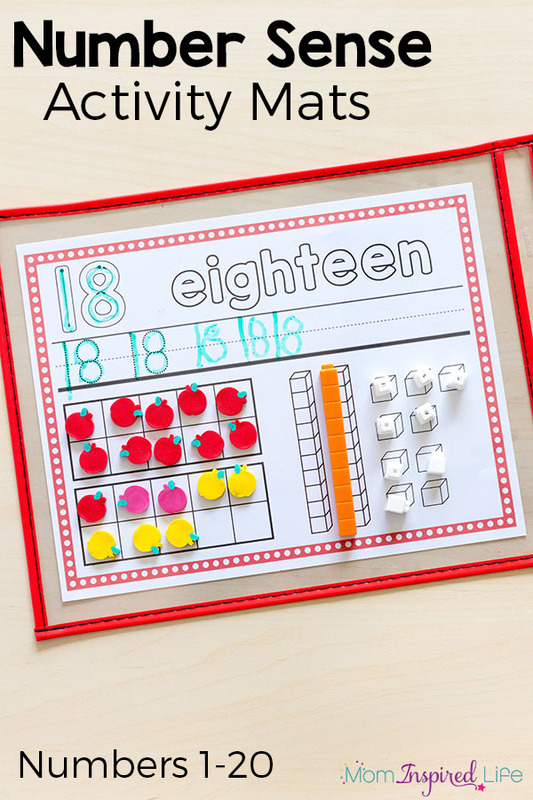 My kids enjoy using a variety of mini erasers to fill in the ten frame and number bonds. You can change them up for each season or classroom theme. If a child as a particular interest such as dinosaurs or mermaids, you can use mini erasers that appeal to those interests. I find that a change in manipulatives can give new life to an activity, so I highly recommend doing that. 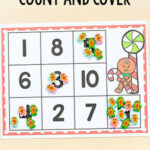 On the star portion of the numbers 1-10 mats, children can color in the stars for added fine motor practice. We also have some star buttons we picked up at the Dollar Tree that match up perfectly too. 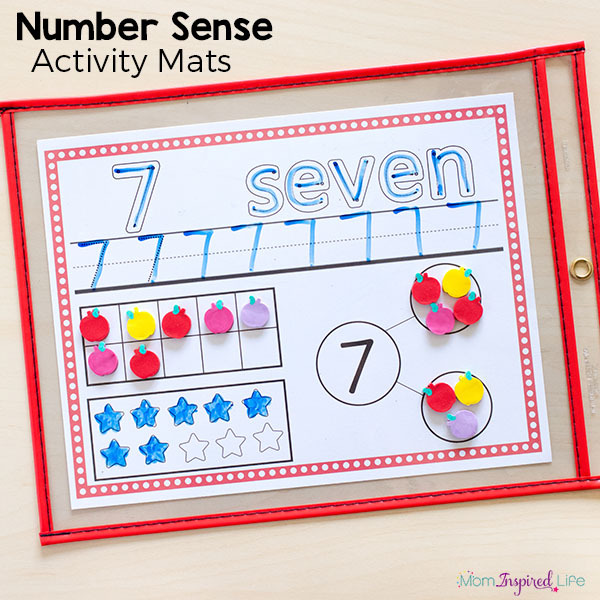 These number sense activity mats are going to be so helpful this coming school year! I plan to use them several times a week! Get numbers 1-5 for free! Then purchase the whole set for the rest of the numbers. Get numbers 1-5 emailed to you for free by clicking the button below. Get numbers 1-20 by clicking the button below. 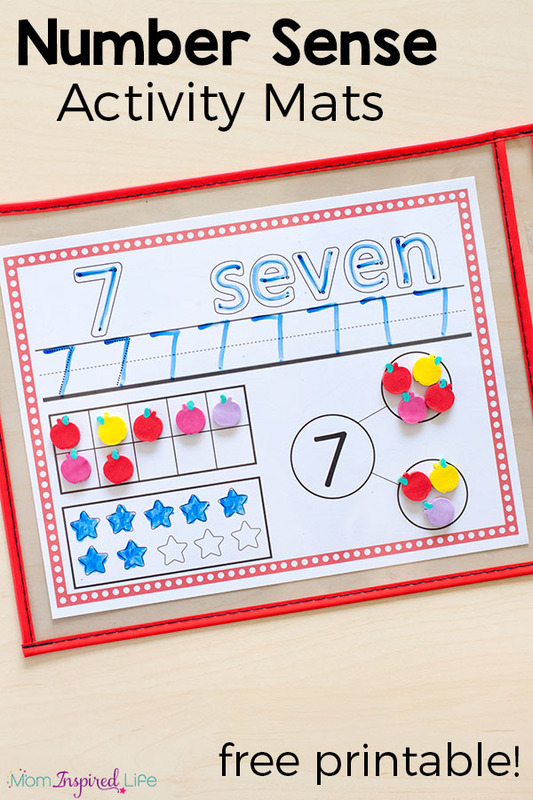 Check out all of these other fun math mats for kids!